Discussion in 'Introductions, Help and Recommendations' started by -ant-, Jan 23, 2017. I read somewhere here that you cant get a good enough amp below $200 for the hd600, how true is that?? I use the Pangea HP101 which was $100 on Amazon ($80 now) and it's around 80% to 85% of the performance of my Meier Cantate ($500) that I haven't had repaired yet. 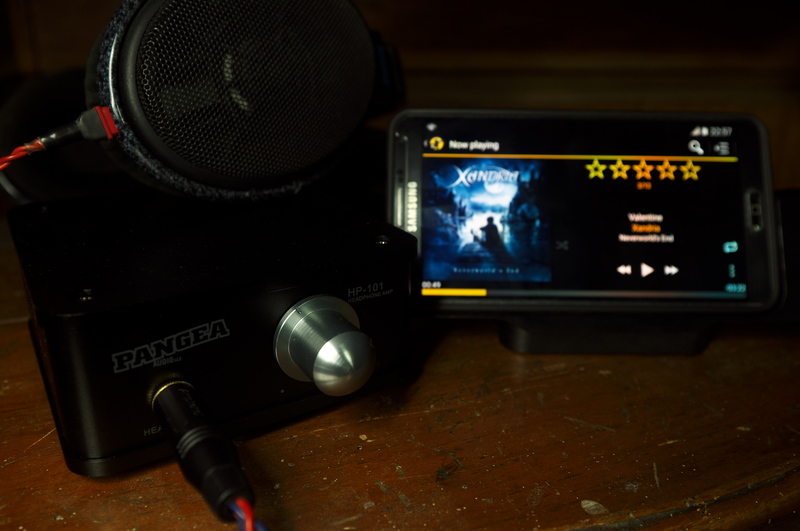 Noise floor is noticeably higher if I test for it, ie, turn up the volume knob with nothing playing (Meier amps can get to max setting at high gain with zero noise, unless it's coming from the source), overall has more solid percussion reproduction; overall the noise only kick in beyond my listening levels on the HD600 anyway. Given the price I'd be hardpressed to spend on anything else. If anything the one problem with this thing is that the preamp tube mount isn't for convenient replacement, but I'm one to wear out stock tubes a bit before replacing it anyway and not one to roll one tube after another anyway. I do have a spare Mullard 12AX7 here if the Shuguang tube kicks the bucket or I have the time to tinker and get rid of it. It's a more quiet, less microphonic tube with a smooth and transparent sound so I expect the high frequencies to improve on it. There's also the Schiit Vali2 at $170 and the Darkvoice DV336se for $200 from Massdrop (but these will go better with a DAC, unlike the HP101 and Cantate that have one built in). I'd still prefer my Cantate, but until I can get it repaired, I'm using the HP101 that I got as a gift XMas 2015. You'll get more performance out of amps that can deliver more voltage and if they deliver more current (along with lower output impedance) you can use a wider range of headphones with them and drive the HD600 and the K702 for example equally well, but in general the HD600 is easier to power. Anything that isn't badly designed or something really compact running off a battery won't have that big of a problem. Would the fiio.e17k for example be adequate enough for now to get more out of them cans? Any amp i would buy would have to be semi portable for use "around" the home, any suggestions? Note3 and HD600 for size reference in the photo above. It does have a power brick and my Note3 is used with a dock stand but I easily move it around the house. i just don't move around while listening because 1) I have cats and 2) I'm usually in the kitchen when not on my desk (or with the cats), and if all your cookware are cast iron and carbon steel, suffice to say that whatever you cook can gunk up your gear (what more open headphones) not to mention how loud wok cooking is (blazing fire, all the tossing, you need to be prep everything and toss them in in proper order, etc). Maybe your right, wait and just enjoy what ive got and save save save. I´d rather suggest: wait and save and enjoy, enjoy, enjoy. A friend recommend me use a dap like shanling m2s as a dac and source and jds lab o2 as amp for hd650 instead of aune s6 dac/amp in balance mode and galaxy s7 edge as source? Whats your opinion?